Create walking, talking billboards for your business with custom temporary tattoos. Advertising can be expensive. Radio spots, magazine spreads, pay-per-click advertising; they can costs thousands of dollars to implement. But what if I told you advertising on a human being costs less than a nickel per person? 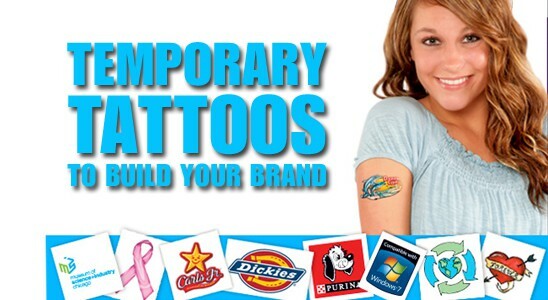 Custom temporary tattoos are a perfect promotional piece to build brand loyalty for mere pennies-per-impression. They can generate buzz about your brand at an event or be used as a low-cost, mail-friendly thank you to donors of a non-profit. Printed full color on one-side with a customizable black ink backside for tattoos instructions, your website and marketing message. Calculating the cost-per-impression is impossible for this promotion. How many people will they show off your tattoo to? Will they post it to social media and tag your business or non-profit? Pass one off to a friend or family member who becomes a lifelong fan? The possibilities are endless! Our go-to custom temporary tattoo tailors are California Tattoo. They offer free set-up and fifteen standard custom tattoo sizes along with thousands of stock image tattoos. Click on the link to view their full product line or call us today for a free quote! 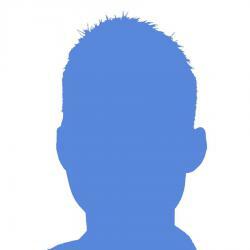 Jason is the founder, Marketing Mastermind and lead content creator here at dream ink. His number one goal is helping businesses build their brand with creative, effective and memorable advertising.